Remains Of Hitler Deputy Rudolf Hess Cremated, Grave Destroyed : The Two-Way His grave in Germany had become a pilgrimage site for neo-Nazis. Now, his remains will be cremated and scattered at sea. 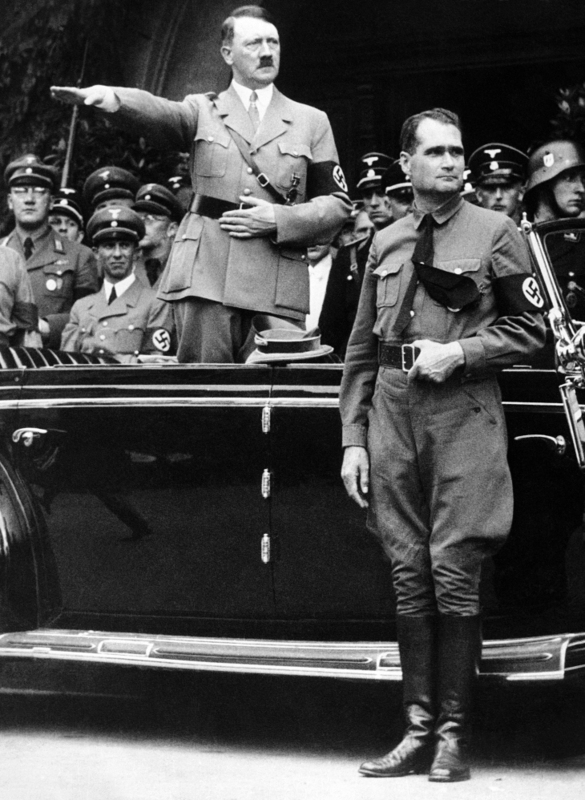 Dec. 30 1938: Adolf Hitler and Rudolf Hess (right) during a parade in Berlin. "The grave containing the remains of [Adolf] Hitler's deputy Rudolf Hess has been destroyed to end it being used as a pilgrimage site by neo-Nazis," the BBC reports. German's Der Spiegel writes that for years the grave site in the Bavarian town of Wunsiedel had been a gathering point for neo-Nazis who "celebrate Rudolf Hess as a martyr. It was also the object of shame among many locals." "The community removed the grave this week, daily Süddeutsche Zeitung reported Thursday. "With permission from members of Hess's family, workers exhumed the body and took down the headstone before dawn on Wednesday morning, the paper said. His remains will now be cremated for a sea burial, in hopes of discouraging further interest by neo-Nazis. His gravestone, which read 'Ich hab's gewagt,' or 'I have dared,' was taken down." 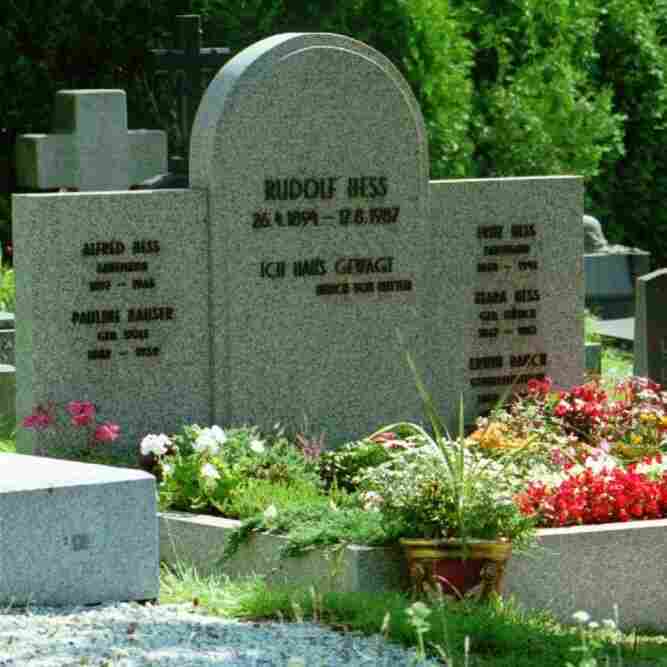 Prior to its destruction, the grave of Hitler-deputy Rudolf Hess. "Rudolf Hess (1894-1987) was a longstanding personal aide to Hitler, and deputy party leader of the Nazi party (until 1941). In May 1941, Hess flew to Scotland hoping to make peace between Germany and Britain. He was immediately arrested and imprisoned. Hess was found guilty on counts one (conspiracy) and two (crimes against peace) and sentenced to life imprisonment. Hess was the only one of the defendants to serve the full life term; he committed suicide in prison at age 93." Update at 11:33 a.m. ET, July 22: A reader suggested that it would be more precise to say that the remains will be cremated, not "destroyed" as our headline originally read. We've made that change.